Spring is finally here, or at least it will be on March 20th. And as the weather begins to warm and we start seeing more sunny days than rainy ones, now is the time to take advantage of the many activities close to home here at The Retreat at Mountain Brook. With so many things from which to choose, it’s hard to make a list that includes everything, but here’s a sampling of some of the popular things to do and places to visit close where you live. 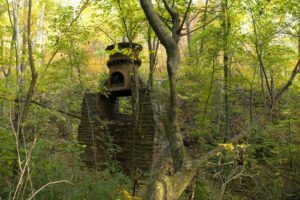 If hiking and exploring nature and history are your thing, check out Ruffner Mountain Nature Preserve. Mined for its iron ore from the 1800s through the 1950s, Ruffner Mountain features over 14 miles of trails ranging in difficulty level from Easy to Difficult. With scenic overlooks, quarries, and sites that let you see the remnants of Birmingham’s mining and industrial past, Ruffner Mountain offers something for serious hikers, nature lovers, bird watchers, or anyone who just wants to spend some time strolling in this urban oasis just 15 minutes from the Retreat at Mountain Brook. If you’re looking for a nature walk that’s a bit closer to home, and maybe a bit less strenuous (and doesn’t have “mountain” in its name), check out Flora Johnston Nature Park. 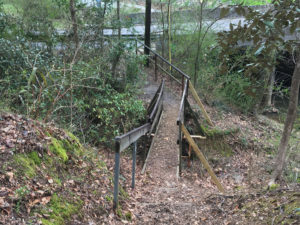 Located less than five minutes away from The Retreat at Mountain Brook, the Flora Johnston Nature Park features an upper and a lower trail that follow along a branch of Shades Creek. With small rock outcroppings and scenic views of the creek, Flora Johnston Nature Park is a peaceful, beautiful and easy walk for people of all ages. 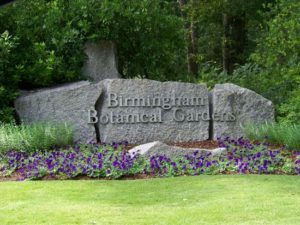 If you love nature but aren’t in the mood for mountain and woodland trails, then you’ll definitely want to check out one of Birmingham’s treasures – Birmingham Botanical Gardens. Located just 5 miles from the Retreat at Mountain Brook, Birmingham Botanical Gardens is over 65 acres containing over 12,000 different types of plants, 25 unique gardens, more than 30 works of original outdoor sculpture, and several miles of walking paths. Open from dawn to dusk 365 days a year, the Birmingham Botanical Gardens is a great way to spend an hour, an afternoon, or all day. Once you’re finished hiking and exploring nature, you’re going to be hungry and thirsty. Why not satisfy that hunger and thirst in Avondale? 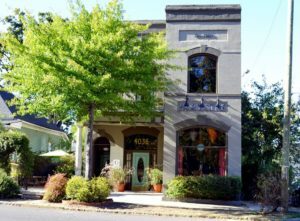 Located just a few miles from The Retreat, Avondale is one of Birmingham’s hippest, revitalized neighborhoods. Born as a neighborhood for textile mill workers in the late 19th and early 20th centuries, Avondale has become a hot spot of restaurants, brew pubs, and entertainment. Whether it’s a cup of coffee at the Abbey Coffee Shop (a profit project of the Episcopal Diocese of Alabama), pizza for lunch at Post Office Pies, dinner at SAW’s Soul Kitchen, dessert at Big Spoon Creamery, and live music at Saturn, there’s something for everyone in Avondale. With the days getting longer and the weather getting warmer, now is the time to get out and explore all the great things to do and places to visit close to home here at the Retreat at Mountain Brook.